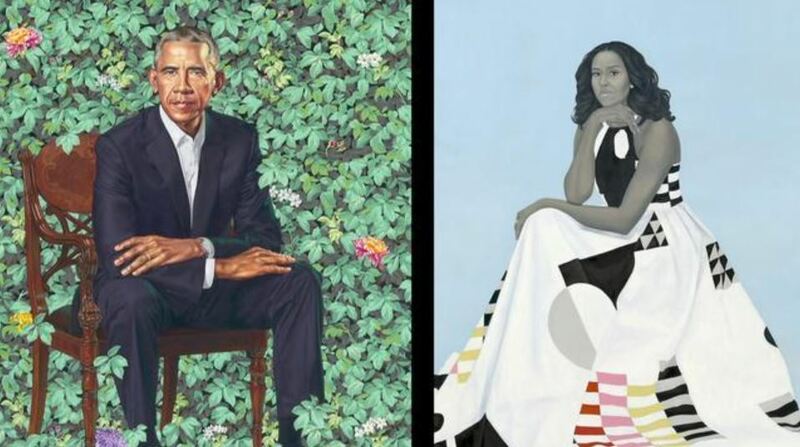 Hats off to artists Amy Sherald and Kehinde Wiley for their ground-breaking portraits of, respectively, Michelle and Barack Obama, unveiled this week and added to the permanent collection of the National Portrait Gallery. These inspiring works will forever change how we see and remember iconic national figures. This entry was posted in New Post and tagged Amy Sherald, Art, Barack Obama, Kehinde Wiley, Michelle Obama, National Portrait Gallery. Bookmark the permalink.